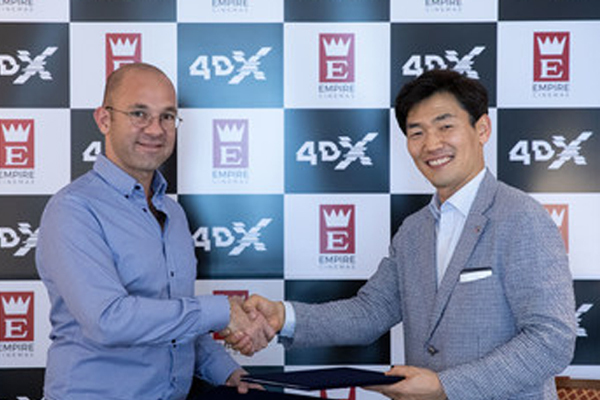 Al-Rashed Empire Cinema Consortium has signed a new deal with CJ 4DPlex, the world's leading cinema technology company, to open 10 4DX theatres in Saudi Arabia by 2023. The agreement comes a year after the consortium announced plans to open as many as 30 theatres in various cities around Saudi Arabia, right after it was granted a licence to operate cinemas in the kingdom by the General Authority for Audiovisual Media. 4DX enhances the on-screen visuals of action-packed blockbusters, transcending the traditional cinema experience through special effects including motions synchronised seats, wind, fog, rain, lightning, snow, bubble, vibration, and scents. The result is one of the most immersive cinema format in the industry, drawing fans into the action on the big screen.